Young Disciple Youth Bible Camp 2019: Camper applications are already rolling in! Try out our new type in form! Staff and counselor applications are now available. We look forward to seeing your applications! Click here to view the campfire video archives. Click here to view 2018 camp photos. Truth 4 Youth in new languages! This popular, easy-to-use evangelistic program for kids is now available in English, French, Spanish, Yoruba, and Korean! If you are planning an evangelistic series either at home or abroad, don't neglect the children. Instead, reach them with Truth 4 Youth! If you would like to see this program in another language, and you have translation skills, please contact the YD office. 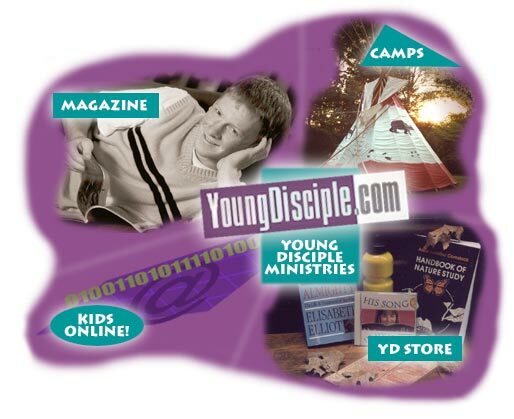 Interested in writing or drawing for Young Disciple Magazine? Head to our Contributor Guidelines, under the "Magazine" tab at the top of the page, to find out what we are looking for.